Over 71% of the earth’s surface is covered by water which means there are over 139,827,329 square miles that must be covered when your boat is at sea. 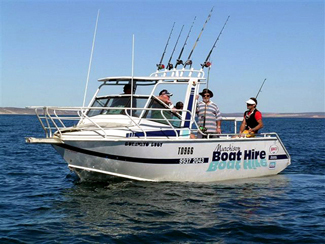 Without a suitable GPS tracking device, locating your boat when it borrowed or hired out, or taken illegally, would be extremely difficult. There are GPS tracking devices available (like fleetminder) that provide real-time world-wide tracking via satellite for your boat or yacht. No matter what time of day it is, you can receive updates on the location of your nautical vehicle as well as monitor mechanical, electrical and maintenance systems so that you are immediately apprised of any potential issue before it becomes a life-threatening problem. GPS tracking devices are credited for the recovery of stranded boaters when they were disabled at sea and help to recover your boat and the crew rather than losing both when disaster strikes. GPS tracking devices provide security for your boat and crew; by integration with an on-board security system the GPS tracking device can monitor motion and door sensors and activate alarms if there is an intruder or if your boat is stolen. To detect boat theft from it’s mooring location or for smaller boats left on land, the GPS tracking device can be programmed with a “geo-fence location” which essentially is a virtual perimeter around the boat. The GPS tracking device knows if it is being moved and can alert the boat owner by SMS text or via email. This at least will give the boat owner time to contact the authorities to stop the thieves from getting away clean. If the thieves do in fact manage to get the boat to their hiding spot, the boat owner can pass this information to police. Nautical GPS tracking devices integrate seamlessly with the monitoring and security systems on your boat or yacht and provide the extra level of protection for your boating asset, and the people that use it.